In early 2017, Ericsson formed a unique alliance with the Girl Scouts of Northeast Texas (GSNETX), in support of the Girl Scouts’ exciting mission: to change the workforce pipeline in STEM to meet the urgent need for female voices, engagement and leadership in the fastest growing sector of the U.S. economy. A powerful focus of this alliance was how to use the latest in learning consulting and digital transformation to scale and evolve the ‘digital onboarding’ of new GS volunteers. The combined team prototyped a powerful new application of Ericsson’s “Jumpstart” learning experience solution, enabling a more mobile, scalable, dynamic, agile, personalized and trackable onboarding experience. This unique transformation project and its powerful results occurred in lockstep with the launch of the GSNETX STEM Center of Excellence, a 92-acre campus near Downtown Dallas providing unmatched hands-on experiential STEM learning for over 26,000 girls. The inside story of this unique corporate and nonprofit collaboration gets the ‘Jumpstart’ on creating a seamless digital onboarding experience, to grow and get ready a whole new generation of Girl Scouts volunteers! How to evolve onboarding into a more scalable and digital learning experience. Learning consulting and UI/UX principles leveraged in collaboration to architect and customize the online solution. The corporate and nonprofit ‘co-creation’ model that drove this transformation, as a best-practice for other organizations seeking to digitize their volunteer OR employee onboarding experience. Vidya Krishnan is the head of competence and capability consulting for Ericsson North America. She has a responsibility and a deep passion for transforming how Ericsson creates capability for their customers and their workforces, as Ericsson enables new ways of learning for the Networked Society as a whole. With over 20 years in the Telecom+IT industry, she knows firsthand that operational excellence comes from having an entrepreneurial start-up culture where speed, agility and creativity are combined with the experience, caliber, expertise and know-how of an established organization. She fervently believes that learning is the intersection of execution, strategy and engagement. 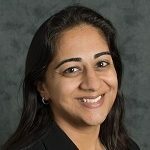 She began her career in engineering operations with AT&T, then worked at Nortel building and launched wireless networks before joining Ericsson in 2009, where she has held a variety of leadership positions in E2E network engineering, integration, design and optimization. She holds a B.S. from Princeton University and an M.S. from Stanford University in electrical engineering, with a specialization in how technology can uplift impoverished areas. She is proud and privileged to lead a team dedicated to transforming how, where and when effective learning takes place in the Networked Society. Kelly Parsons is a performance and transformation manager, developing and driving strategic competence and transformation programs across Ericsson North America. Her expertise is defined by more than 30 years in the Telecom IT industry serving in many roles, including technical engineering, consulting, organizational leadership and competence management. With a powerful passion for connecting with people and helping others succeed, Kelly is at her best when she can combine that personal passion with the needs of the business to creatively engage and mobilize for transformational change centered around learning. This unique perspective was also the catalyst for Kelly as the co-creator of “Jumpstart,” an innovative onboarding and competence transformation program that has won both internal awards and external industry awards, as well as speaking engagements at learning conferences over the past few years. As vice president of Girl Experience, Ashley oversees the programs, community programs, and the outdoor leadership and STEM education departments. Ashley has also been instrumental in leading the Customer Engagement Initiative with Girl Scouts of the USA and strategic learning. Before leaving the corporate world to pursue her passion for Girl Scouts, she served as chief marketing officer for a student housing development company and marketing director for a real estate firm. 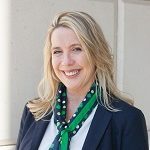 She holds a Bachelor of Business Administration from Baylor University and currently serves on the board of the Frisco National Charity League. Ashley first came to Girl Scouts of Northeast Texas as the director of programs in 2012. As a Girl Scout, she went on to earn her Girl Scout Silver Award. In addition to being a long-time Girl Scout volunteer to two troops, Ashley also has two daughters who are Girl Scouts. Combining her deep appreciation for what the Girl Scout movement can do for young women with her love of all things training has been a dream come true for Donna. As director of volunteer learning, Donna oversees a team of 110 volunteers who engage other volunteers to educate and empower them to facilitate the Girl Scout leadership experience. Donna’s volunteer empowerment team facilitates in-person learning experiences, produces and executes microlearning experiences through social media, plans and executes community building events, and administers a virtual community of practice for year-one volunteers. This is a busy and dynamic team! Additionally, Donna has served on two national learning committees for GSUSA and facilitated her own Letting Girls Lead curriculum at the 2014 National Convention. 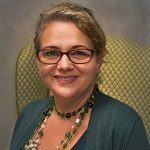 Donna’s skill sets include facilitation, instructional design, team building and event planning. Her background prior to joining Girl Scouts of Northeast Texas in 2010 includes time spent as a news reporter, campaign fundraiser and corporate trainer for Hilton Hotel’s customer loyalty marketing program – Hilton HHonors.